Pallet Truck Store is a UK based online retailer for Pallet Trucks access products. Our product range include hand pallet trucks, scale pallet trucks, high lift pallet trucks, electric pallet trucks, sacker pallet trucks, scissor tables, skates, sack trucks and access equipment just to name a few. With over 10 years' experience in the health, safety, handling & the access industry, we feel we have that little extra to offer over our competitors. 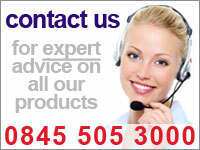 Not just 1st class products at great prices but that extra support and advice you can rely on! All of our pallet trucks are tested and certified to the relevant standards and manufactured by our very own UK based manufacturers so that you can be sure of 1st class UK quality from the Pallet Truck Store. We are confident you won't find prices cheaper anywhere on the web and if you do, we'll match the price 100% guaranteed. We are experts in our field employing some of the countries most experienced health and safety trainers to enable us to give you the correct information when it comes to handling and access equipment safety. We also have experience in the manufacturing process of our products so if you have any questions about how the product is made please don't hesitate to contact our team of industry experts. We believe in 100% customer satisfaction and will go out of our way to provide you "the customer" with very best service. We strive to provide you with an excellent online experience. Pallet Truck Store can also provide training and inspections throughout the UK. For more detail call us on 0845 505 3000. Pallet Truck Store is a trading name of Abbey Access Ltd. A family run business that has the view that our customers should be treated as a customer and not just like another number. Buy online today from a name you can trust. If you require any further details please call us on 0845 505 3000.